Team and individual competition against neighboring clubs in the region. 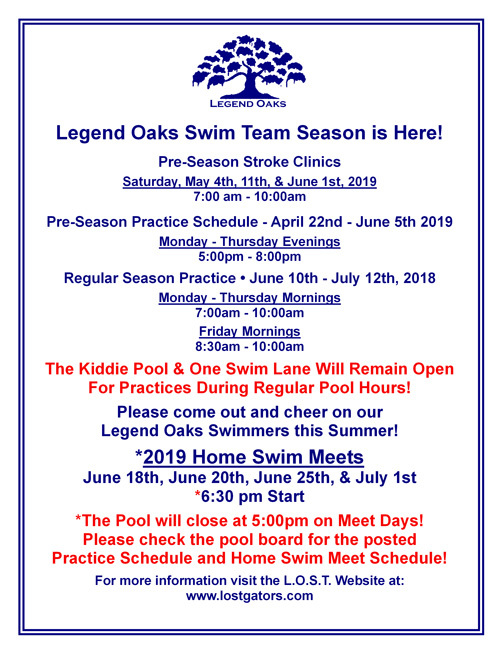 Legend Oaks Swim Team (LOST) had over 100 children participating in 2015, and we are proud to have seen growth in this important program for the last several years. The main goal is to Have Fun!